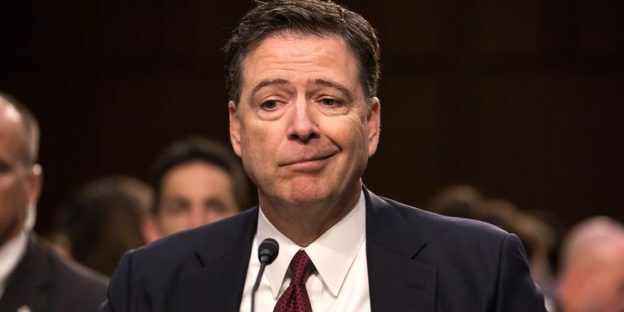 James Comey Jr., the former director of the FBI and author of the new book “A Higher Loyalty: Truth, Lies, and Leadership,” truly stands out from the crowd. Not only because the man is 6’ 8”tall. But because he may well be the most reviled person in American politics today. In our grossly polarized society, most personalities on the political scene, even if only on the sidelines, like Mr. Comey, are embraced by one squad and reviled by the other. Team mentality reigns, and the body politic is reduced to cheering or booing fans. Only face paint is missing. And so it is something of an anomaly to observe a personality who is booed all around. Mr. Comey has achieved that status. The Blue Team considers him (not unreasonably) to have played a part, perhaps a decisive one, in the defeat of Hillary Clinton in the 2016 presidential elections. Team Red, for its part, reviles Mr. Comey for whatever it was that made President Trump fire him last May; and now for his book, which is highly critical of the president. No way to win friends in Red America. But– leaving aside the actual political issues – I can’t help feeling admiration for a player who does what he feels is right even if it means being booed by all the fans. This entry was posted in News, Personalities, Politics on April 26, 2018 by Rabbi Avi Shafran.